Home>Music> Cardi B Thanks Nipsey Hussle: "Learned A Lot These Past Two Weeks"
Yesterday, we witnessed the beautiful ceremony that Nipsey Hussle's family planned to celebrate the life and legacy of Ermias Asghedom. 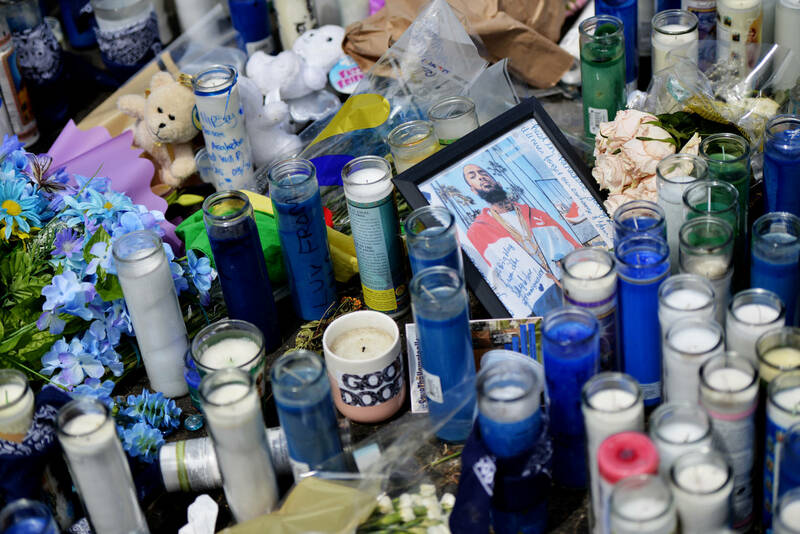 Much of the hip-hop community has been sharing messages about Nipsey's passing, refusing to forget about all the amazing things he did for his community. After the memorial service, Nipsey's body was driven as part of the funeral procession, travelling twenty-five miles through the city of Los Angeles and taking one final victory lap. His family took the stage to deliver enlightening speeches about Ermias, with his step-son noting that he had a dream about "paradise," being visited by Hussle and learning about how beautiful heaven is. Cardi B initially spoke out when she heard about Hussle's passing and today, she decided to speak her mind further, revealing how much she's learned from Nipsey in these last few weeks. The Bronx-bred superstar took to Twitter to thank Nipsey for being such an important part of his community and of the music industry, writing: "Thank you Nipsey for inspiring. I have learned a lot these past two weeks and the world has also." The comment was posted after the memorial service had ended, with the rapper presumably watching it all and reacting to how beautiful the service was. Performances from Stevie Wonder, Jhené Aiko, and others paid tribute to the late Asghedom while members of his family, including Lauren London, spoke about Nipsey on stage. Lil Wayne also chose today to pay his respects to Nipsey Hussle, publishing a tweet of his own. RIP Nipsey Hussle. MUSIC Cardi B Thanks Nipsey Hussle: "Learned A Lot These Past Two Weeks"